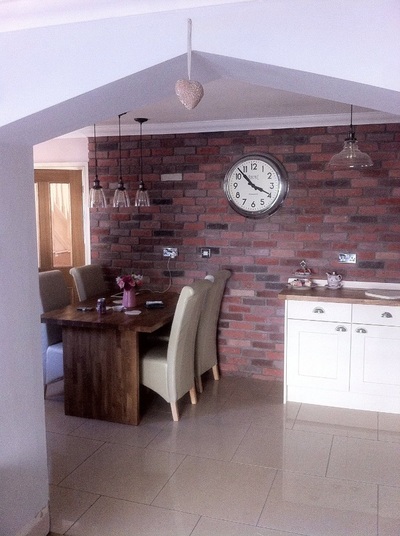 Reclaimed effect brick tiles are also called brick slips and are available in a wide variety of colours and sizes. They have a large range of applications from cladding the outside of properties both commercial and private as well as for covering virtually any internal wall in the home. 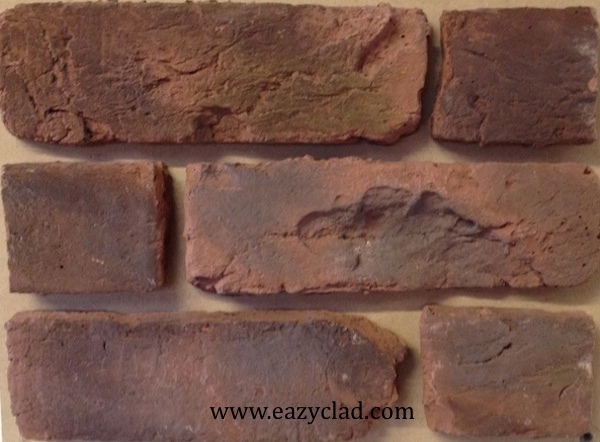 We achieve the reclaimed effect on the brick facing by using moulds from real bricks and then cast them with our tried and tested production methods and can virtually replicate almost any brick you may find in a brick yard at a fraction of the price you need need to pay for a reclaimed brick to be cut down to the same thickness. You attach the brick slips to the subsurface by means of a stone adhesive which is really quite a simple operation butter the tile and wall with glue and marry together by slightly putting pressure on the surface of the brick, when they have set in place and the adhesive has gone off all you need to do is make a mortar mix up of sand and cement and cover the joints washing off any muck with a sponge and water. 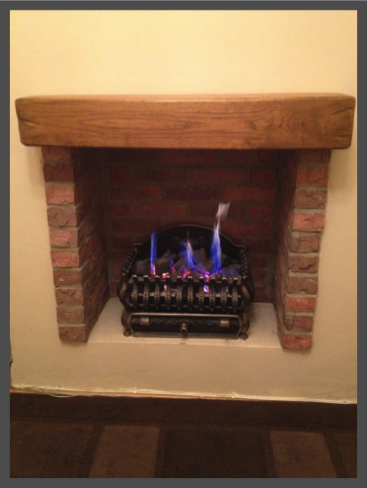 The picture below shows one stele of wire cut reclaimed brick facing that we can achieve .